There was a bomb explosion at the Film Centre Cinema, in O’Connell Bridge House in Dublin. A late film was being shown and although no one was killed, approximately 40 people required hospital treatment. The explosion happened at 1.25am and the bomb had been placed outside the rear exit door of the Film Centre Cinema in a laneway connecting Burgh Quay to Leinster Market. Roy Mason, then Secretary of State for Northern Ireland, said that the region might be left behind by ‘the tide of devolution’. William Craig, then an Member of Parliament (MP), announced that the Vanguard Unionist Progressive Party (VUPP) would cease to exist as a political party as from 25 February 1978. In the House of Commons at Westminster a two-day debate on the Anglo-Irish Agreement (AIA) began. Ulster Unionist Party (UUP) councillors decided not to resign from district councils in protest at the Anglo-Irish Agreement (AIA). The decision was taken although the leadership of the UUP was in favour of mass resignations. The Standing Advisory Commission on Human Rights (SACHR) recommended that Diplock courts in Northern Ireland should have three judges to hear cases. However, the Commission did not support calls for a return to jury trials for scheduled (terrorist) offences. 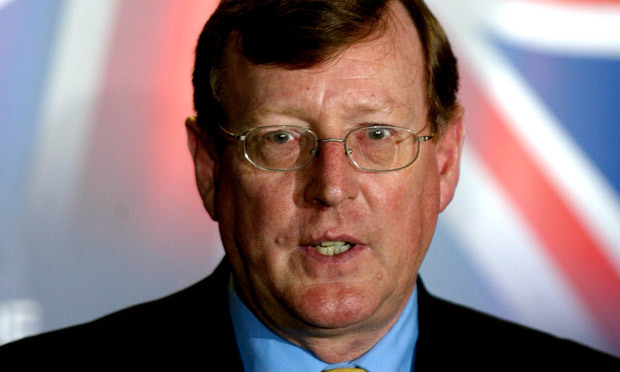 David Trimble, then leader of the Ulster Unionist Party (UUP), criticised Mary Robinson, then President of the Republic of Ireland, for not following “the proper protocol” when arranging visits to Northern Ireland. Tony Blair became the first British Prime Minister to address both houses of the Oireachtas (the Irish Parliament) the Dáil and the Seanad. His speech dealt with the Good Friday Agreement and the relationships between Britain and the Republic of Ireland. Ronnie Flanagan, then Chief Constable of the Royal Ulster Constabulary (RUC), said that there was “no intelligence basis” for the view that the Irish Republican Army (IRA) was planning to return to violence. Shot while driving his car along Jamaica Street, Ardoyne, Belfast. Shot at his shop, Duncairn Gardens, Belfast. Shot during gun battle at Garda Vehicle Check Point (VCP), Urlingford, County Kilkenny. Off duty. Abducted while driving delivery lorry, Crossmaglen, County Armagh. Found shot, near Crossmaglen, County Armagh, on 27 November 1991.